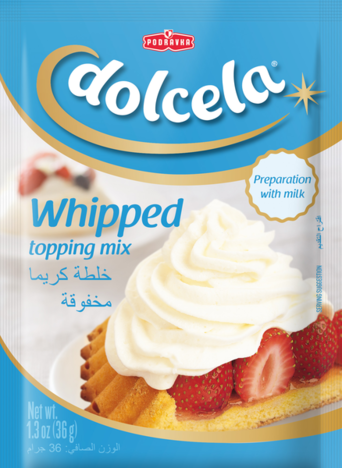 A deliciously light cream that’s the perfect accompaniment for all your pastries, puddings, cakes and fruit salads. No dessert is complete without it! Pour 125 ml of chilled milk into a deep bowl. Add the contents of the packet and blend the mixture for 2-3 minutes until you reach the desired consistency. Serve as a delicious dessert or use it to decorate cakes, fruit salads, ice-cream and coffee – the list is endless!